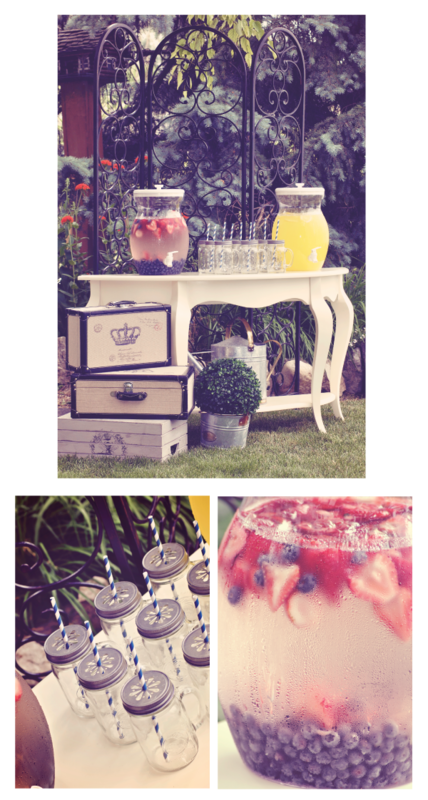 Sunday, July 7, 2013 was a warm sunny day and a perfect day to have a garden engagement party. 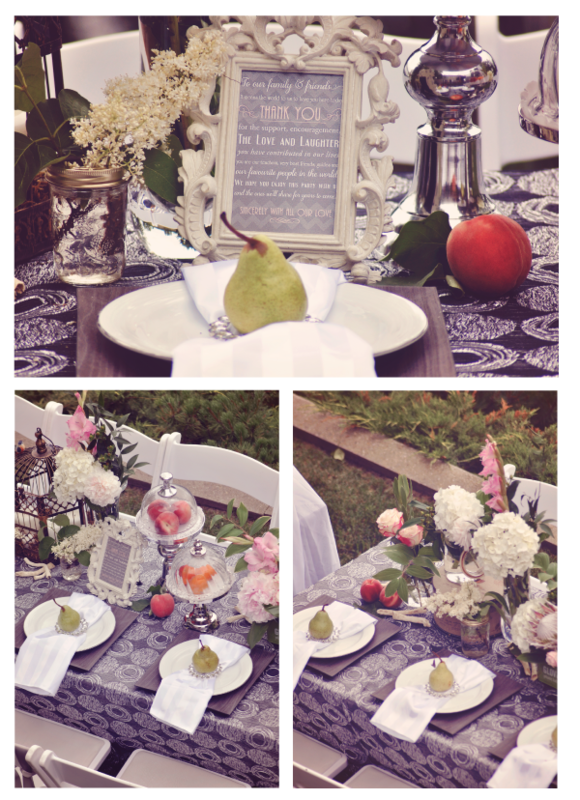 The With Style Team was hired to create a stylish, but intimate setting for a newly engaged couple. The setting was a private home by the water. There was a warm breeze and birds singing. You could not have asked for a better setting to begin our décor building and create something inimate and wonderful. The theme of the event was to embrace wild flowers as though they where hand picked that day since it was situated in a garden. We styled the flowers on our own to give it a hand picked looked and placed them in old mason jars that used to belong to the grandmother of the bride. We also used gardening utensil boxes and fun items we could find the dress the table. We did have one feature flower, the king protea. We immediately fell in love with this flower because it resembled something like an exotic pink sunflower. It gave an abstract yet local element to the florals. 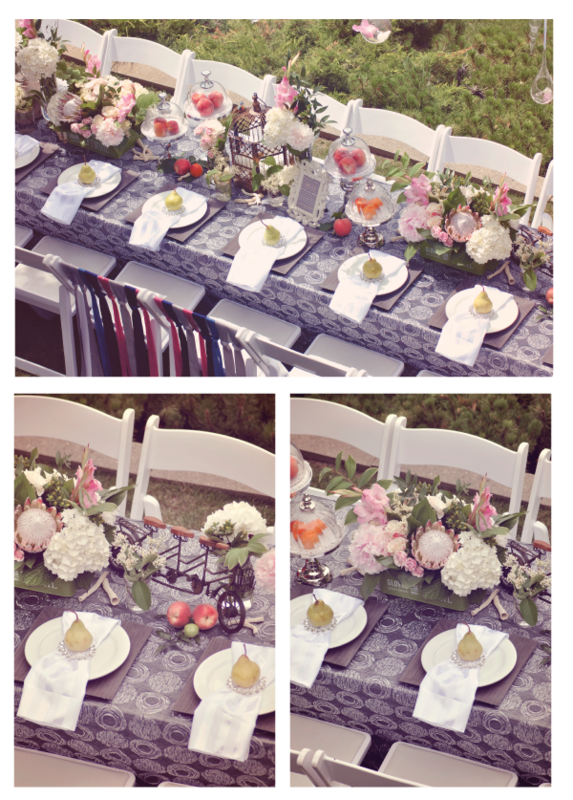 The rest of the centerpieces included fresh peaches, pears and apricots that were placed in cake stand pedestals. They were later enjoyed by guests as dessert once it was paired with vanilla ice cream. This gave a practical element to the table scape and mirrored the surroundings since there where fruit trees in the garden below. 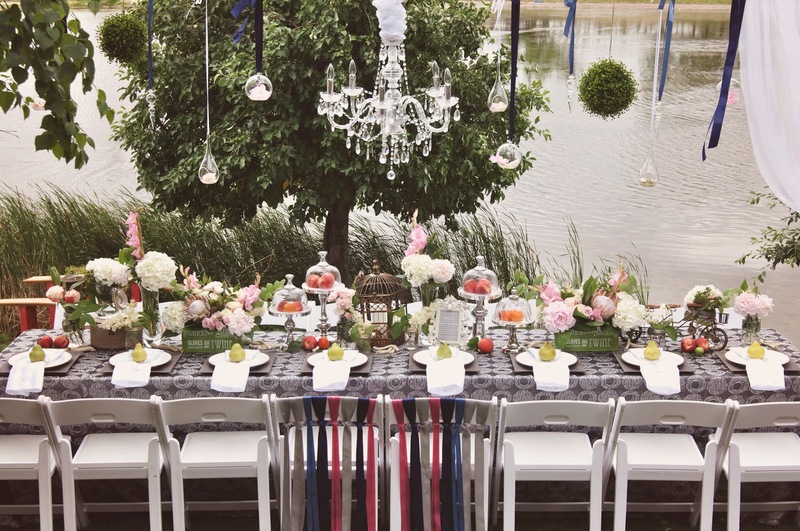 When designing we made sure the décor also had elegant elements that infused style in the ambience (let’s be honest, a lot of us would love to have a chandelier in our garden). 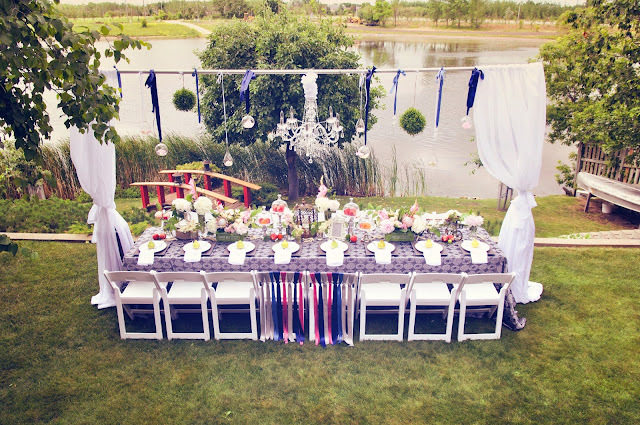 With mixing the two styles of simple garden and chic elegance, it made for an eclectic mix that matched the couple’s personalities. That is what took the simple garden look to an elegant secret garden ambience we were trying to achieve. Event chairs rentals U-Rent it.